There is a passionate affair between the unnamed soon-to-be second Mrs Winter and Max when they meet in Cayman islands, where she is a boat-hand and he a rich, successful politician who charters boats for daytrips. Our protagonist is flattered that Max seems to have fallen so quickly and deeply in love with her but it all changes when they return to his Long Island home, Asherley. He is rarely home, leaving her to deal with the servants and his teenage daughter Dani while also planning their wedding. Dani, who Max somehow neglected to mention before, is a bit of a wild child and not happy that her father has brought home another woman who, in her eyes anyway, is to replace her mother, Rebekah. 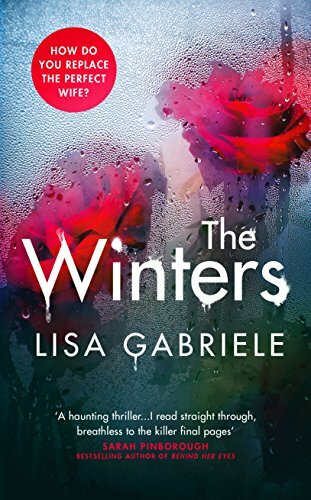 The Winters is as tense and atmospheric as Rebecca, which transfers so well into modern day East Coast America. Lisa Gabriele brings the classic tale bang up to date. The presence of the deceased Rebecca looms just as ominously as she does in du Maurier’s classic novel. A deliciously dark and brooding novel to curl up with on these darker Autumn evenings.